The leading gaming magazine Electronic Gaming Monthly or EGM which I've been reading for the past 10 years pulled the plug as the recession took its toll. EGM was closed on January 6, 2009, following the acquisition of the online element of the 1UP network by Hearst Corporation. It was announced that the January 2009 issue would be the final issue of EGM.The unpublished February issue, which would have featured the video game Street Fighter IV on the cover, will be released for free online. Most of the veteran gamers mourned on the news as the "gaming bible" they once used in defeating that hard-to-kill boss or decided on buying the latest game release on the market. 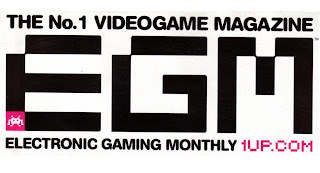 EGM spawned a lot of other gaming magazine internationally and locally. Expert game writers also came from EGM like Dan Hsu and that mysterious Sushi-X. I admit that EGM became a part of my gaming childhood and it will be missed.